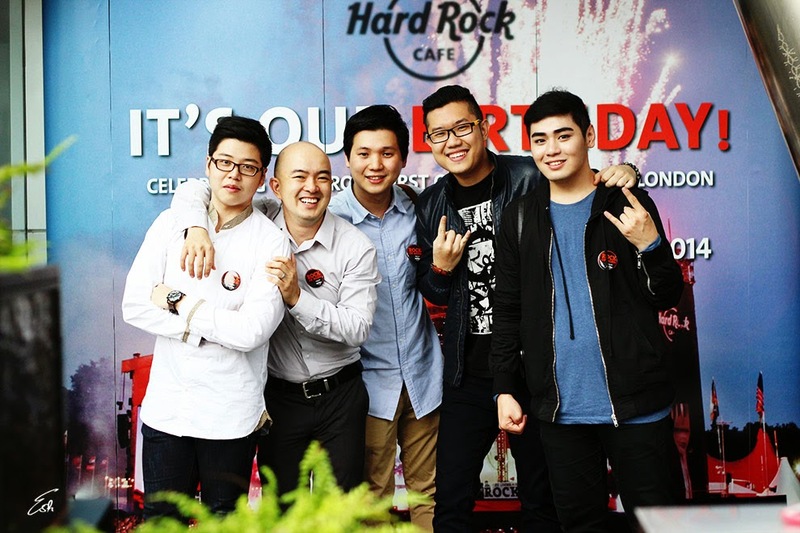 Jakarta, 14th June 2014 – Today is an 43rd anniversary of Hard Rock Cafe International, and Hard Rock Cafe Jakarta as one of members also celebrate this International Hard Rock Cafe Anniversary with Legendary Burger PARTY !! 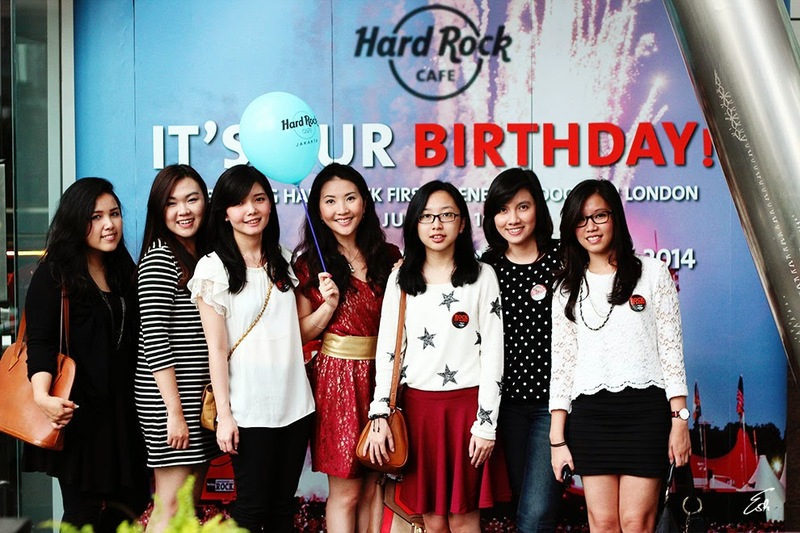 where Hard Rock Cafe Jakarta would give 43 free Legendary Burgers to first 43 customers, as the symbolized of Hard Rock Cafe's existence and I'm so lucky be the one of bloggers and media who got a chance to celebrate the anniversary ! 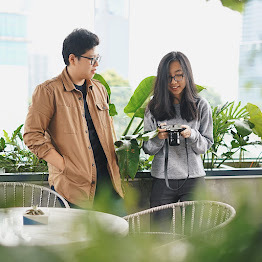 Before talk about Hard Rock Cafe Jakarta and of course their new amazing menu, I will tell you a short stories about Hard Rock International, as we celebrate their anniversary.. YES ! LET'S CELEBRATE !! Well, Hard Rock Cafe is no longer at Ex Plaza, they're now at Pacific Place (a lot of people don't know it) I think their old spot is so much better :D but I still can feel the atmosphere of rock star at Hard Rock Cafe, and yes their 70's classic rock give us sensation and feels like we're rocking now ! You can see a lot of music stuffs here and the area is so big and don't forget the stage where music was performed ! 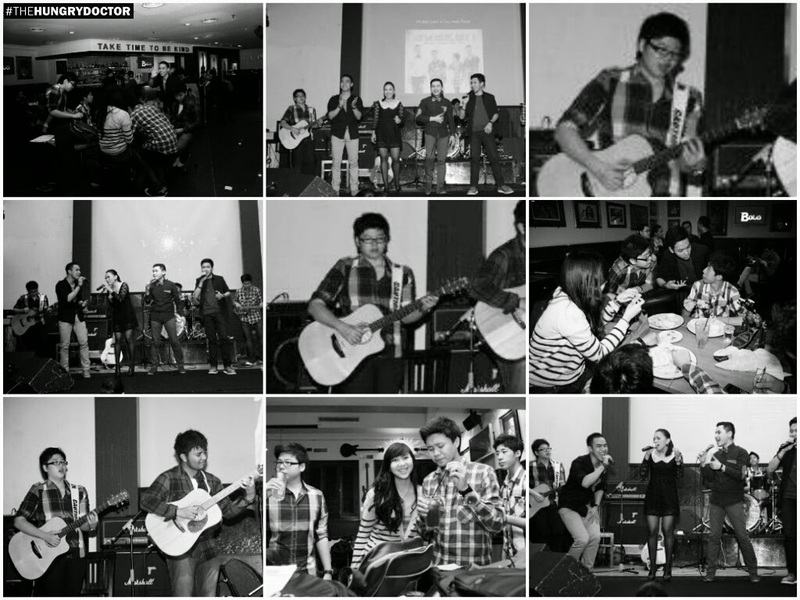 I had memorable moment in Hard Rock Cafe when I was one of the performer at one of music concert held by Hard Rock (still in Ex Plaza) but until now I can still the ambiance and atmosphere in Hard Rock that night, it will be different if music touch the food place. I like the ambiance of Hard Rock Cafe Jakarta and as usual you can find a lot of music legend stuffs on the wall which I really love it. They also have a bar where you can just sit here while enjoying the music performance, the service here also great and all of the staffs was fun ! Let's start the celebration with something fresh and sweet ! Mango Berry Cooler the mixture of fresh mangoes, strawberries, pineapple juice, orange juice and topped with sprite. Sweet and sour in one sip, it's great enough for refresh your day ! NACHOS ! Yes, I love nachos, and Hard Rock Nachos was really great come in big portion with crunchy tortilla chips, but the tortilla not to tasty and topped with cheddar cheese and pinto beans, also served with sour cream, green onions, Pico de Gallo, jalapenos and rockers salsa. The cheese was quite strong and that's why I love it and the pinto beans always be my favorite. Another big appetizer was served on the table ! This is Jumbo Combo, it's an assorted Hard Rock Cafe side dish, it's a combination between 5 dished they're Santa Fe Spring Rolls, Hickory-Smoked Chicken Wings, Onion Rings, Potato Skin and Tupelo Chicken Tenders. Served with four different sauces : mustard, mayonnaise, BBQ and cheese. It's up to you, where do you gonna dip?? I love their Hickory-Smoked Chicken Wings and it's more delicious when you dipped it into BBQ sauce and cheese together, YUM ! Here's the legendary Burger of Hard Rock, yes you can see their big size and it's charisma ! Their patty made from the high quality of Angus beef, then grilled to medium well level, topped with seasoned turkey bacon, cheddar cheese, crisp onion ring, lettuce, tomato and pickles. But... too bad my patty that day was kinda dry so I didn't enjoy it so well, but I still like their turkey bacon and their soft yet fluffy bun, maybe next time I'll come back again to try this "legend" and I hope will be on their top performance. Steak always be the most favorite dish at western cuisine and this New York Strip Steak was delicious ! They marinated and cooked well in medium, topped with herbs butter and it's so delicating ! This meaty dish was served with mashed potato, brown gravy and fresh vegetables. I really like the consistency of their mashed potato and their high quality beef made everything was good. Please welcome the STAR in Hard Rock new menu !! Grilled Bar-B-Que Beef Short Ribs ! IT'S A BOOM !! Char grilled marinated beef short ribs basted in Hard Rock special Hickory Bar-B-Que sauce before it grilled to the perfection. Served with french fries, ranch beans and fresh coleslaw. This is a must-order menu when you came here. The sauce was blended with the beef and perfectly absorbed, so I can taste the juice of beef short ribs and perfect sauce together ! But one thing, may I have extra sauce for my short ribs? Starts with something savory and ends with something sweet ! This is Hot Fudge Brownie, maybe it's an usual menu, chewy hot chocolate brownie served with premium vanilla ice cream by Haagen-Dazs , actually nothing special from the brownie but the touch of ice cream gives an extra strength. It's also served with chopped walnuts, chocolate sprinkles, fresh whipped cream and red cherry, lovely. Last but not least... Fresh Apple Cobbler, my favorite ! mixture of ripe, juicy apples, spices and baked until golden brown served warmly with topped of vanilla ice cream, walnuts and caramel sauce, OMG they're super awesome, maybe looks like apple crumble but it's quite different, I can't describe it anymore you should try yourself and remember, again and again it came with sharing portion. HAPPY 43rd ANNIVERSARY HARD ROCK INTERNATIONAL ! Amazing images friend! The images of Food and desert are very nice and looks like a so delicious. The Hard Rock café is the best and nice café in London. It is most famous dinning point in this city. The foods of this café are famous and services are goods. My uncle tasted the before this annapolis air tours. He told me it is the best café in London. After reading your blog I must try go there and enjoy the delicious and desert of this café. Great sharing! Your shared information is really interesting. New York dishes are really delicious. Hard Rock café is really the best place for dinning. I must go there after completing my boston to Washington dc tours. Jumbo Combo is my favorite dishes. The staff of this cafe is very nice.